Basically equipped battery is maintenance free type. 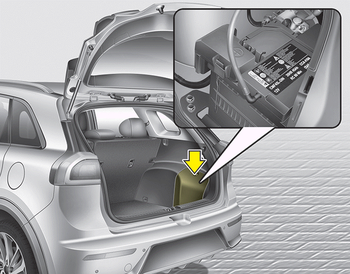 If your vehicle is equipped with the battery marked with LOWER and UPPER on the side, you can check the electrolyte level. The electrolyte level should be between LOWER and UPPER. If the electrolyte level is low, it needs to add distilled (demineralized) water (Never add sulfuric acid or other electrolyte). When refill, be careful not to splash the battery and adjacent components. And do not overfill the battery cells. It can cause corrosion on other parts. After then ensure that tighten the cell caps. We recommend that you contact an authorized Kia dealer. If electrolyte gets on your skin, thoroughly wash the contacted area. If you feel pain or burning sensation, get medical attention immediately. The battery contains lead. Do not dispose of it after use.We recommend that you contact an authorized Kia dealer.